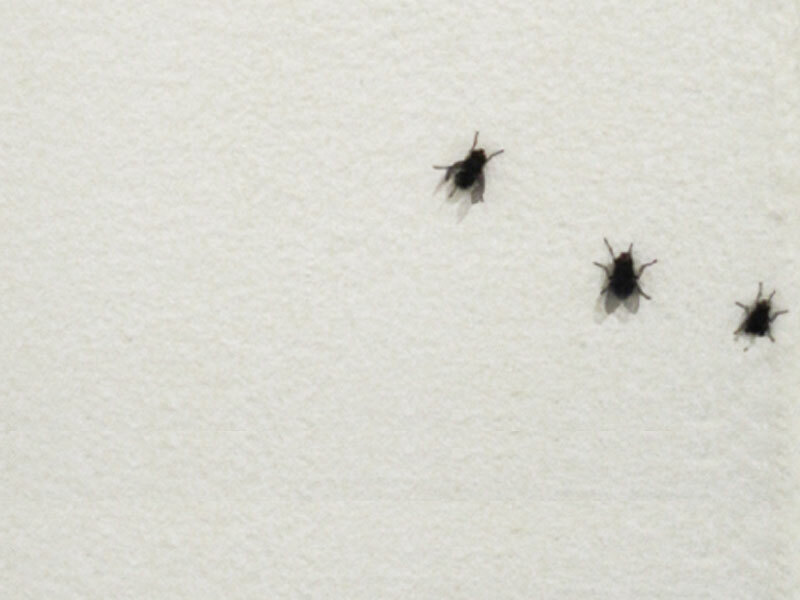 In december 2009 i released three flies during an exhibition. This work begins with the notion of the ‘fly on the wall.’ This metaphor for the unnoticed observer, who nonetheless sees everything, is transformed by the artist into a silent gesture of participation. Releasing three flies into an exhibition space during a group show opening, the artist has, similar to releasing a goldfish into a pond at the Met, in a sense introduced an additional work into the show while remaining thoroughly undercover. The artist skirts a fine line here between an affirmative evasion of his authority by eschewing recognition in the gallery circuit on the one hand, and a self-mythologizing impulse on the other. Emerging out of the social situation of the opening, the work exists as a myth or a rumor, shrouded in mystery and living on beyond the bounds of the exhibition to which it parasitically attached itself.